Tony Stark is back as the Invincible Iron Man! 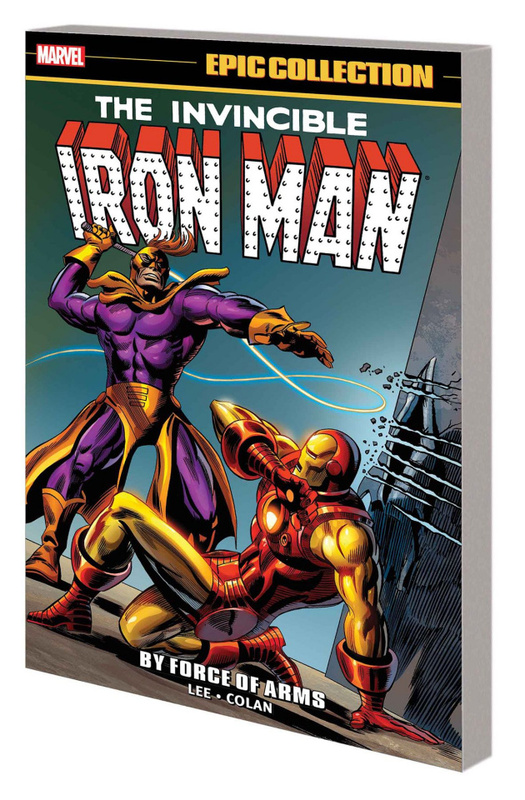 Stan Lee and Gene Colan's complete run - a host of iconic Iron Man adventures, including one of Marvel's first crossovers - is proudly presented in this Epic Collection. Brought before the United States Senate to divulge the secrets of Stark Enterprises, Tony Stark has never faced higher stakes. But survival in the halls of government means risking the life of his friend, Happy Hogan! Then, the Mandarin tests Iron Man's mettle, executive privilege does nothing to save Tony from Whiplash and the Titanium Man, and the ideologues at A.I.M. attack - taking us to the debut of Iron Man's very own solo series! Collecting TALES OF SUSPENSE #73-99, IRON MAN & SUB-MARINER #1, IRON MAN (1968) #1 and material from NOT BRAND ECHH #2.